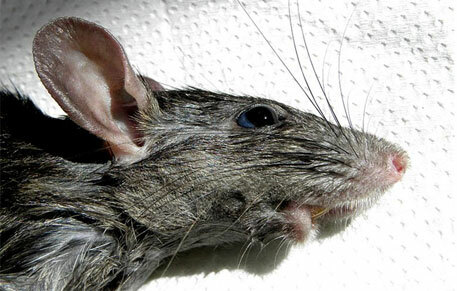 A study has revealed that black rats, considered to be behind the outbreaks of bubonic plague or the infamous “Black Death” which wiped out a third of Europe’s population in the Middle Ages, may not have been to blame for numerous outbreaks. The study, “Climate-driven introduction of the Black Death and successive plague reintroductions into Europe” has been published in journal Proceedings of the National Academy of Sciences (PNAS), according to a report in the BBC. The scientists who authored the study believe that the culprit instead was the Giant Gerbil, another rodent species, as well as climate change. “If we're right, we'll have to rewrite that part of history,” the report quoted Nils Christian Stenseth, from the University of Oslo, as saying. Stenseth and his colleagues compared tree-ring records from Europe with 7,711 historical plague outbreaks to see if the weather conditions would have been optimum for a rat-driven outbreak. He said: "For this, you would need warm summers, with not too much precipitation. Dry but not too dry. And we have looked at the broad spectrum of climatic indices, and there is no relationship between the appearance of plague and the weather." Instead, the team believes that specific weather conditions in Asia may have caused the giant gerbil to thrive. And this then later led to epidemics in Europe. "We show that wherever there were good conditions for gerbils and fleas in central Asia, some years later the bacteria shows up in harbour cities in Europe and then spreads across the continent," Stenseth added. He said that a wet spring followed by a warm summer would cause gerbil numbers to boom. "Such conditions are good for gerbils. It means a high gerbil population across huge areas and that is good for the plague," he added. The fleas, which also do well in these conditions, would then jump to domestic animals or to humans. And because this was a period when trade between the East and West was at a peak, the plague was most likely brought to Europe along the Silk Road, Stenseth explained.